A new piece of concept art for the symbiote from Venom has been revealed and it’s absolutely terrifying. 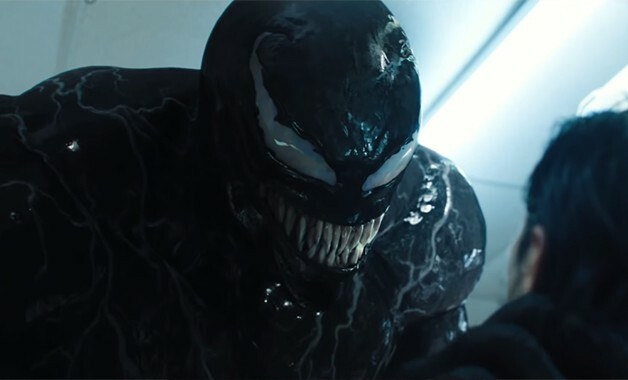 Venom impressed many fans with its comic book-accurate look for the symbiote, but it also disappointed others because it looked like the most violent Marvel film yet before ending up with a PG-13 rating. Now, creature artist Jared Krichevsky has unveiled one of his early designs for Venom, and it’s a look that we would have probably seen if the film received the R-rating most fans wanted. Venom follows Eddie Brock as he attempts to revive his journalism career by investigating the Life Foundation only to come into contact with an alien symbiote that bonds with him, granting him powers and transforming him into the titular anti-hero. It’s the second iteration of Venom seen on the big screen as Topher Grace played the character in Sam Raimi’s Spider-Man 3. Directed by Ruben Fleischer from a script by Jeff Pinkner, Scott Rosenberg and Kelly Marcel, Venom also stars Michelle Williams, Riz Ahmed, Scott Haze, Reid Scott, Jenny Slate, Ron Cephas Jones, and Woody Harrelson. The film is available on Digital HD, Blu-ray and 4K UHD. A sequel to Venom is currently in the works at Sony Pictures wih writer Kelly Marcel. Hardy, Williams and Harrelson are expected to return, but Fleischer likely won’t be back in the director’s chair as he’s busy shooting the studio’s Zombieland sequel.